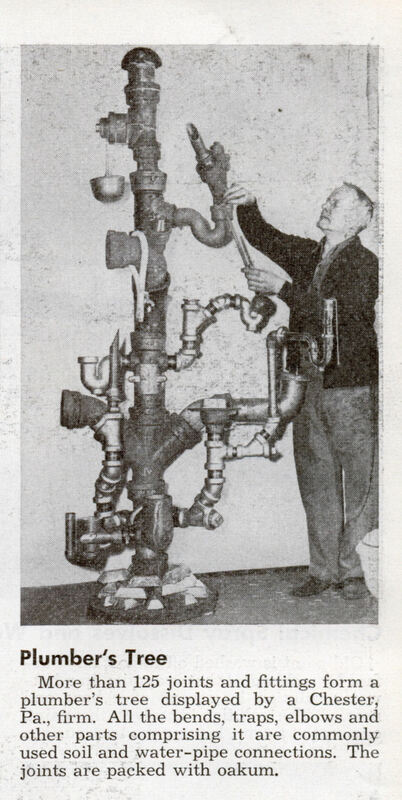 More than 125 joints and fittings form a plumber’s tree displayed by a Chester, Pa., firm. All the bends, traps, elbows and other parts comprising it are commonly used soil and water-pipe connections. The joints are packed with oakum. 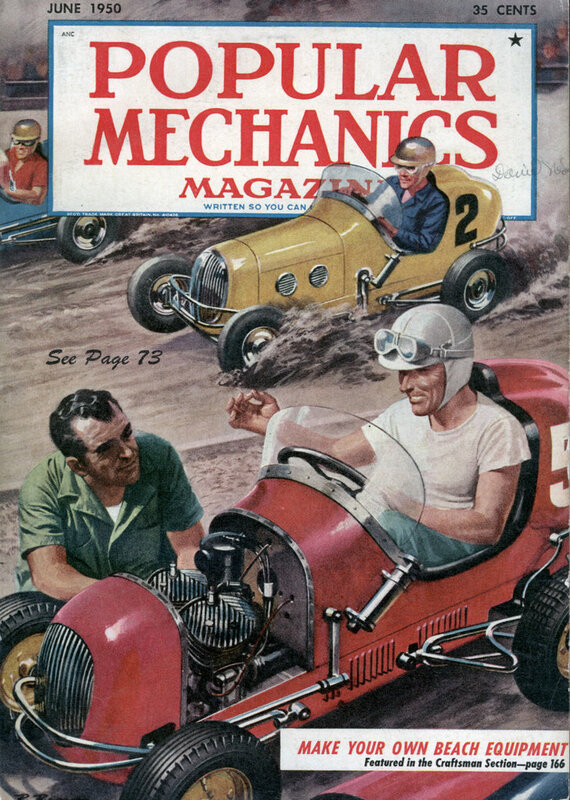 Modern Mechanix Â» Plumberâ€™s Tree, Popular Mechanics 1950 – Link…….